Drake is just "too raw for TV." One of the biggest surprises from the Grammy Awards was the fact that Drake actually showed up. The superstar has been publicly critical of awards shows in the past and during his acceptance speech for "Best Rap Song," he didn't hold back much on his feelings for the Academy. 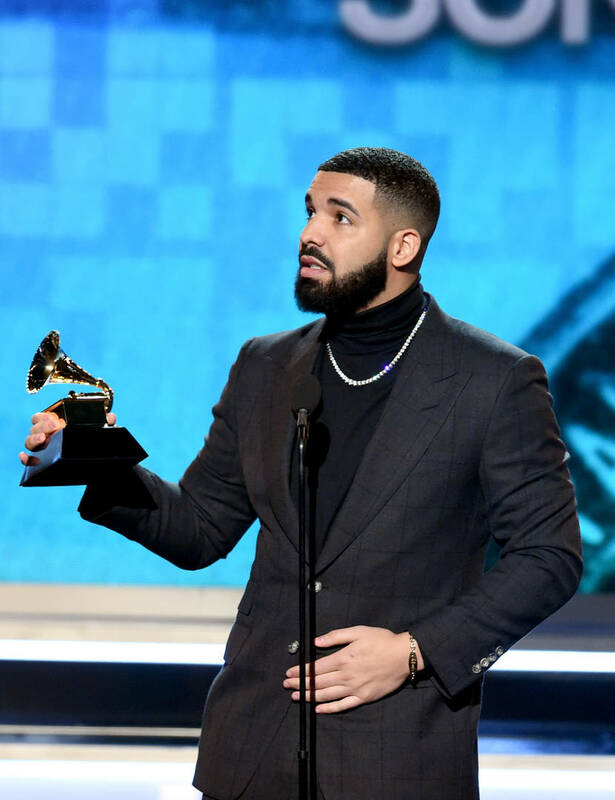 Telling musicians around the world that the Grammy Awards basically don't matter, Drizzy took a natural pause near the end of his speech and right when he continued his discourse, the producers cut to commercial. It was a confusing moment that Drake likely was not too fond of. He hit up Instagram with his thoughts directly after. Drake and producer Cardo took the stage to accept their award for "God's Plan" when unexpectedly, the multi-platinum artist was cut off in favor of advertising. After the show, he shared a photo of his associate Chubbs holding the winning card from the Grammys, getting real in the caption. "Too raw for TV," wrote Drake. We were all left wondering what else the star had to say. He had one of the best speeches of the entire night, inspiring young artists to chase their dreams regardless of the Academy's recognition. Despite the humongous reach that the song had, fans were surprised to see "God's Plan" end up with the win. In a category that was stacked, some felt that other choices would have been better suited. What are your thoughts?